Wearable technology has been around for a while, yet it has not exactly become a mainstream item for several reasons. The next time you are in public look around, and you probably won’t see many people donning wearable IoT devices. However, if you had the capability to time travel a decade into the future, you would likely see just about everyone sporting some form of wearable tech. Industry insiders are adamant that wearable tech devices will soon be ubiquitous. Wearable IoT devices provide value as they sends and receive information in real-time. This information pertains to everything, from your athletic performance to your heart rate and beyond. These devices function with Bluetooth to help users receive information to better monitor their body or athletic performance. Everything from text messages to phone calls and social media updates can be transmitted to wearable devices for easy viewing. As an example, smartwatches are becoming more ubiquitous as time progresses, and fitness trackers empower users to better understand their sleep and exercise habits to improve well-being. The latest IoT wearable devices collect health information to provide physicians and patients with important information. There are even wearables that can gauge the quality of the air around you or help guide the blind from afar. It might not be long until smart glasses are commonplace for augmented reality experiences. Using wearable tech, physicians or other medical professionals do not have to be near a patient to monitor his or her health. These devices can alert a patient and doctor right away when a health emergency arises. In fact, such devices can monitor workout routines and let users know when breaks are necessary. This way, those uber-intense workouts will not overstrain the body and jeopardize health. IoT wearables have advanced to the point that they share data with devices ranging from smartphones to smartwatches, as well as other devices used by medical professionals. Such health monitoring will prove especially helpful for those who tend to ignore their health. Furthermore, it is now possible to alter health habits directly from your fingernail. L’oreal recently introduced a small wearable that displays the harm caused by UV light. The device does not require a battery and measures a mere 9mm across and 2mm in depth. Place the device on your thumbnail for upwards of two weeks and you will find out exactly how much UV exposure is hitting your skin. The device even goes as far as notifying users about the time of day when subjected to an abundance of UV rays. Once you know how much harmful UV light is hitting your skin, you will be able to respond with the appropriate level of SPF sunscreen, clothing, or other protective measures. There are even wearable available to gauge air quality. The sensors are attached to inhalers to track the quality of the air as well as weather and pollutants. The data gleaned by these smart devices pinpoint areas most likely to cause respiratory problems. This data is informative for citizens, as well as government officials, who can take meaningful action to reduce air pollution. A recent study shows devices like these have reduced rescue inhaler use by more than 80 percent in a single year. MIT Researchers recently unveiled a wearable to help the visually impaired. This smart device transmits a digital voice to provide verbal directions to those lacking sight. It explains where doors, entrances, exits, steps and buildings are to help blind individuals reach their destination safe and sound. The camera is attached to glasses to guide blind people around town, complete tasks and read menus and signs that are not in braille. The digital voice can even describe sights to the blind. This concierge-like service also is quite helpful for users with low vision. It is now possible to monitor your baby’s temperature through a patch. Apply the patch below your baby’s arm and it will provide ongoing temperature data in an instantaneous manner. The data is sent directly to your mobile device for easy analysis. If your little one’s temperature is higher than the healthy range, you will receive an alert. Though designed for infants, it also can also be used on adults. In fact, the FDA has cleared the device for use in hospitals to detect fevers. IoT devices are improving our quality of life in all sorts of ways. Most people are aware that IoT technology empowers homeowners to turn appliances on and off from afar, program heating/cooling systems to activate and deactivate at certain times and generally make homes “smart.” Yet, people are unaware of the fact that the geniuses behind these devices have created several remarkable sleep aids to enhance sleep quality. Imagine walking into your bedroom at your usual bedtime to find the lights have been automatically dimmed. The temperature is at the optimal level for restful sleep. A machine that generates white noise is humming along at your selected volume. The blackout shades are down. You enter your bed, close your eyes and enjoy a blissful sleep. You wake up to a warm morning light that puts you in a fantastic mood for the upcoming day. This is the future that sleep-enhancing devices will create. IoT device developers have developed sleep technologies and monitors to enhance the quality and length of sleep sessions. According to the Centers for Disease Control and Prevention (CDC), millions of people in the United States suffer from sleep deprivation. Those who fail to get enough sleep build up a sleep debt that eventually takes a toll on health. It is awfully difficult to pay off this debt unless the person in question can sleep 10-14 hours for one or several days. Sleep debt is detrimental to human health as well as personal safety. An unpaid sleep debt heightens the chances of an auto accident, an accident at work, exhaustion and numerous health ailments. IoT devices just might be the solution to this problem. 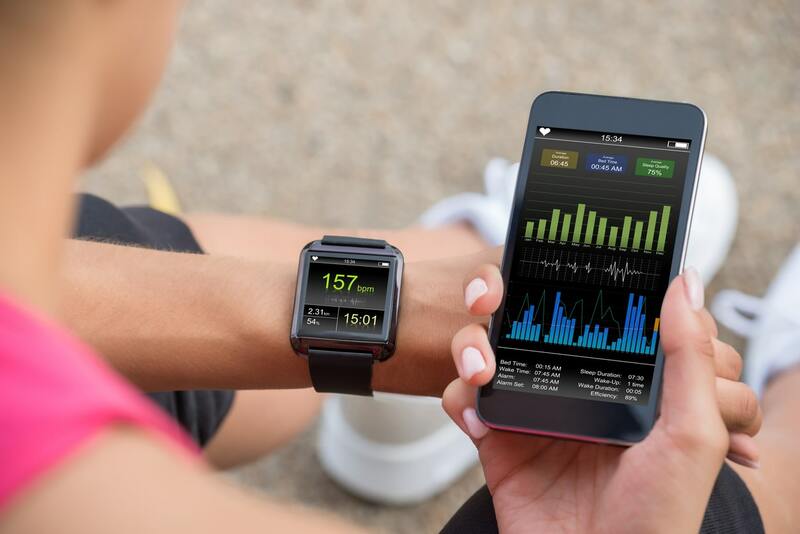 Wearable devices that improve or gauge human health and exercise performance have spilled into the mainstream in recent years. These devices are certainly popular, yet they are being outsold by sleep tracking products on Kickstarter and other sites. Scroll through the web for sleep apps and you will find hundreds ranging from sleep trackers to sleep sounds, virtual fans and even calculators that determine sleep IQ. It is clear people are struggling with sleep and searching for answers. Sleep technologies are divided into categories according to the platform of delivery. Examples of such categories include embedded devices that connect to furniture and additional fixtures within the sleep space, wearable devices attached to the body or clothes, accessory appliances and even resources on desktops/websites. Mobile device apps are integrated through a mobile operating system with device functionality ranging from microphones to cameras. These devices are certainly different from one another, yet they share the same overarching purpose: the facilitation of sleep; not just any old sleep but the deeply relaxing REM sleep we all need to feel truly rested. Some products assist with wakening while others are focused on sleep education and/or assessing the quality of sleep. Though the average bedroom does not have any sleep-related technology in 2018, things will be quite different in the years to come. Affordable IoT devices for sleeping are hitting the market, making it that much easier for sleep deprived individuals to finally enjoy a restful night of sleep. It will not be long until nearly every bedroom in the developed world features at least one sleep enhancing IoT device.